Our Aim is to provide free and confirm vacancies to job seekers around the globe specially for Asian and Gulf Expats. Please note that there is no Fee, Registration, Sign In or Sign Up process on our Blog, we are working for free, our target is to connect job seekers with Job suppliers direct for free. Please be aware from fake jobs, do not pay any one for below jobs. A Company is in need of bike and car driver to deliver shipments who have experience only in working courier company and knows all UAE locations, should hold valid UAE Driving license. A Private Dental Laboratory located in Dubai is looking for Delivery Drivers, Interested applicants should know location very well. Bike Driving License is Must. We FITWELL METAL INDUSTRIES are urgently looking for Trailer or Bus Driver, age should be 30 to 40 Maximum. Any Nationality can apply, Driving License no 3,4,5 and 6 is required. Benefits: Annual Air Ticket, 30 Days Leave with full salary, Medical Insurance, Accommodation and Transportation will be provide by Company. Note: This Job is provided by Recruiting Agency, You will be interviewed by Client after final selection, please be aware from fake job suppliers, do not pay any one for this job, or pay at your own risk. A Recruiting Company is hiring Mix Drivers, Walk-in interviews are from Monday to Thursday. Please bring your CV, Passport size pic and Driving License along you for Interview. 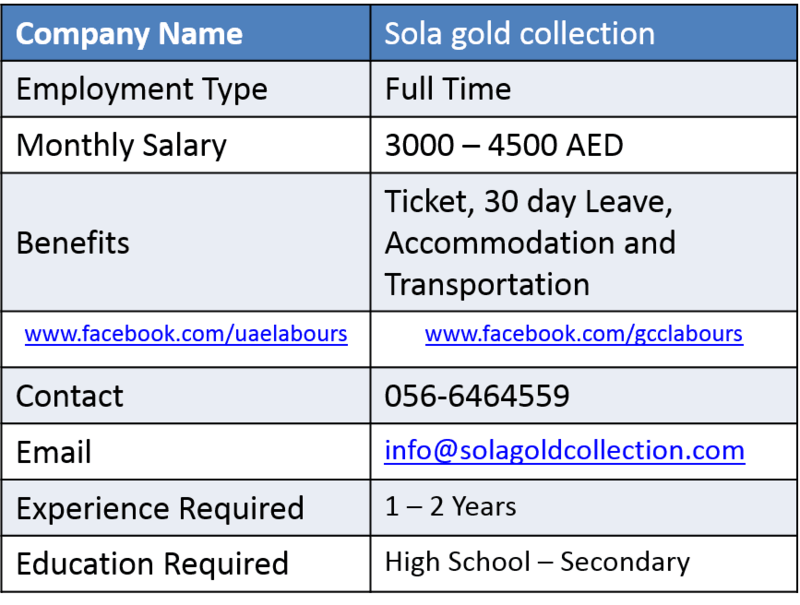 Benefits: Accommodation and Transportation will be provide by Company, other Benefits as per UAE LABOUR LAW. I need a driver job I have no3 license manual and 2 years experience of u.a.e roads.